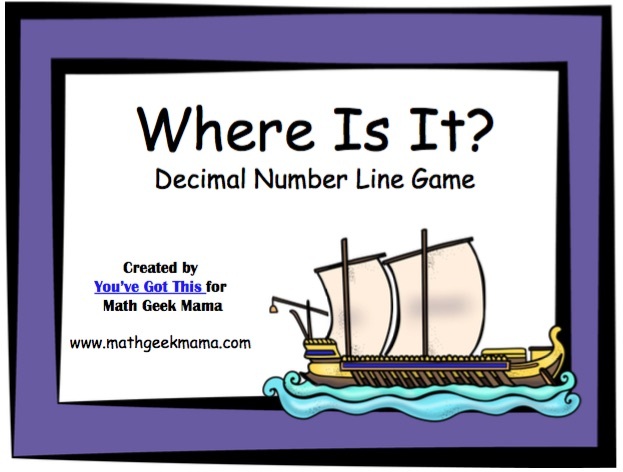 Decimals on a Number Line Game that Kids LOVE! It is always exciting when we start a new math unit! There is something invigorating about knowing we have completed a chapter, and that its time to learn something new. This new unit introduces my oldest to two new concepts: large numbers up to a million, and understanding decimals. We have had a blast reading about, exploring, and playing games with large numbers and now it is about time to move onto decimals. Like any new concept, it is important to help children model it in order to understand. We will be starting off with a game using a 100 grid, and then moving on to this decimals on a number line game. Both games are great for teaching modeling decimals and ordering decimals. And they don’t require a lot of prep work. 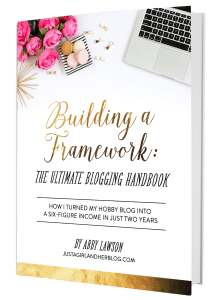 This is a guest post from Rachel at You’ve Got This. This game is similar to Battleship. The goal is to correctly guess the other player’s decimal value. To begin, each player draws a decimal card and writes that number on the first number line. Player one guesses a decimal number between the numbers 0 and 1 to try and determine the other player’s decimal value. Player one then writes the number they guessed on the second number line. (This will help them keep track of their guesses). Player two writes that number on their first number line and informs player one if the number is larger or smaller than the number they drew. It’s then player two’s turn. In the same way, they guess a number and write it on their second number line. Player one then writes the number guessed on their first number line and informs player two if the number is larger or smaller than their decimal. Players continue to take turns guessing numbers until someone guesses the other player’s decimal. The first player to guess the correct decimal wins. 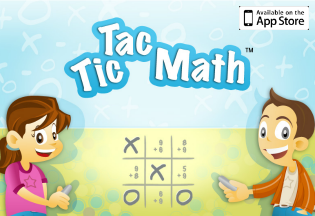 Then you can erase your game boards, draw new numbers and play again! This packet includes 4 game boards and corresponding decimal cards. The first game board has a number line that is labeled with a zero and a one. In between those numbers, the line is divided into nine equal parts, making it easy to move up by tenths. The decimal cards only go to the tenths place value. 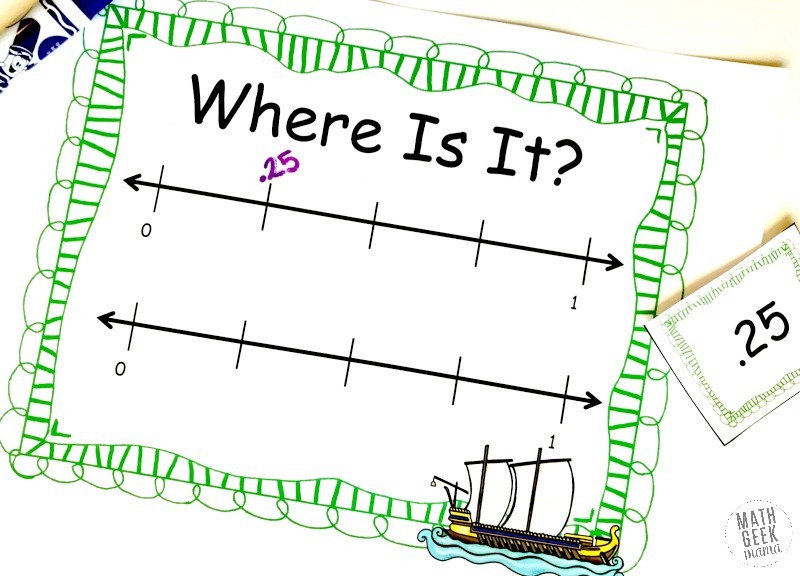 This is a great place to start as it is easy to count by tenths using the increments on the number line. This game board is exactly the same as the first one, but the decimal cards now are in the hundredths. A little more thinking is required with this game board, as children must recognize that a number like .23 will be in between .2 and .3. Game board three has a new twist to it. 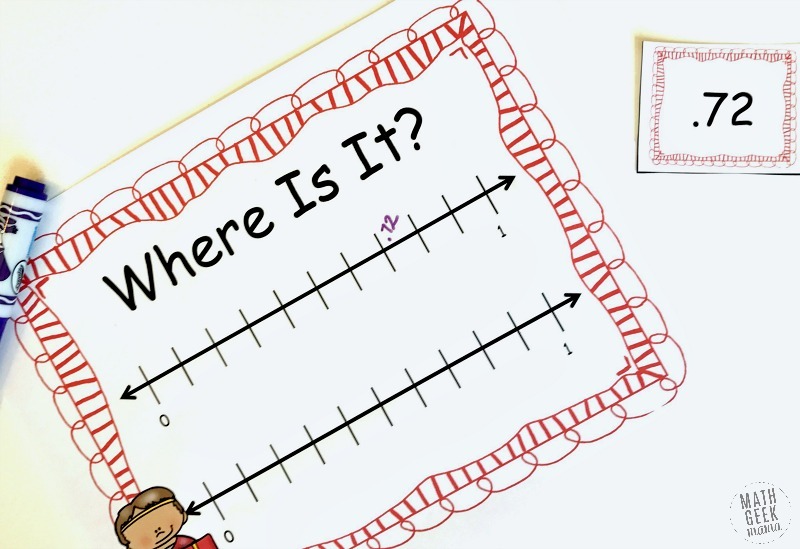 There are only three lines in between the one and the zero, and it is a great way to help children connect fractions and decimals. 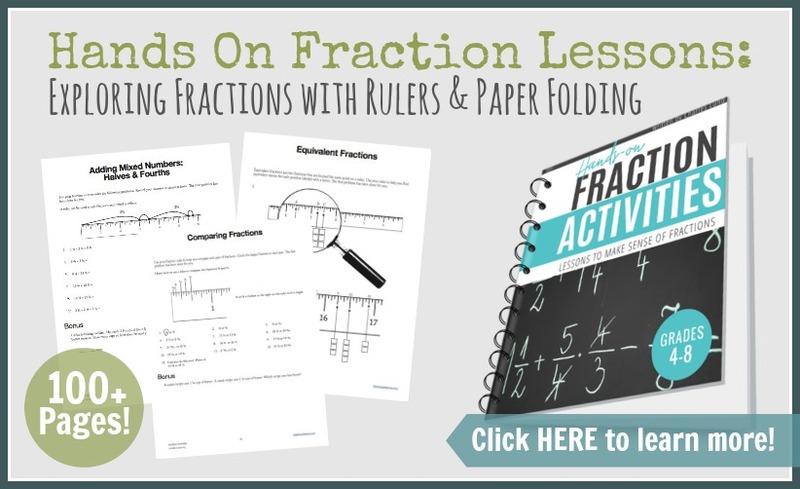 If children are familiar with fractions and number lines they may quickly recognize that there are four equal parts. And if they recognize that, they will know that the first line is 1/4, the next is 1/2 and the third one is 3/4. The decimal cards for this game include fourths, such as .25, .5, and .75…allowing for connections to be made between fractions and decimals. Some children may figure this out on their own, and others may need your support in making this connection. The final game board only has a line for zero, one-half, and one. This really forces students to figure out exactly where their decimals will go, and order them with less support than before. 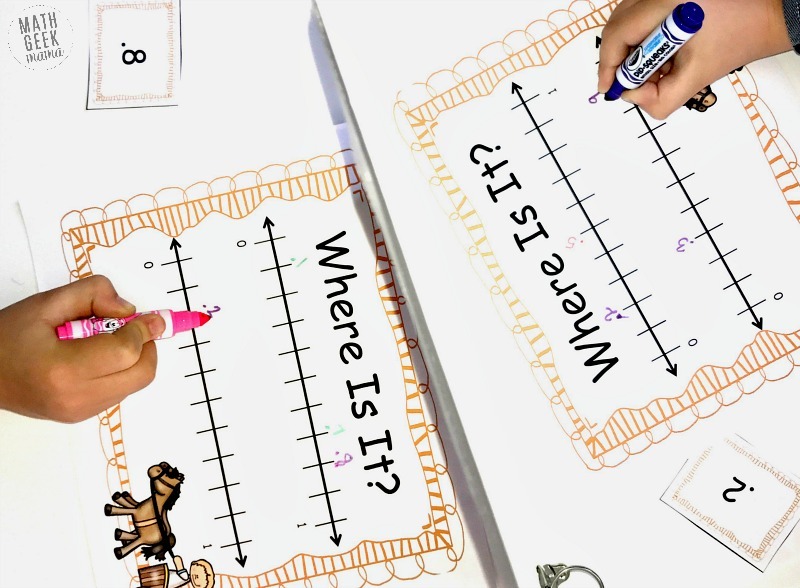 If your students are ready, have them write the decimal and fraction on their number line to help reinforce a correct ordering of fractions and decimals. Playing with math games builds connections and is a great way to practice a certain skill over and over. And best of all, it’s math practice in a fun, non-threatening environment, where kids can feel at ease making mistakes and learning from them. 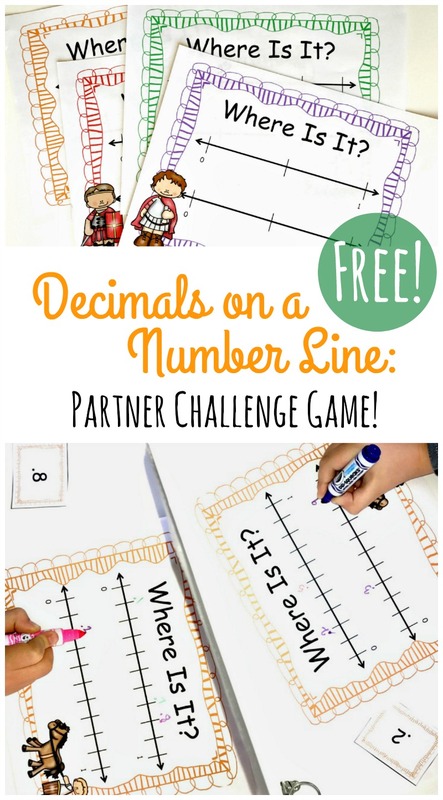 I hope that your children enjoy their math time with this decimals on a number line game. 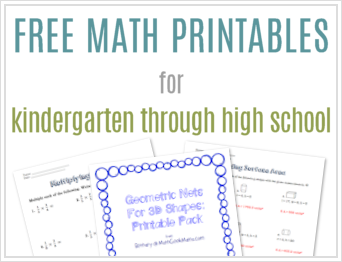 Want more practice with decimals and mental math? Try this fun card game to work on adding decimals to 1. I cannot seem to locate where to down loads this item. Please advise. Hi Anne, sorry for the confusion. There is a link above that says, “Click here to go to my shop and grab the free…” Just click there to go get the download.